The NC State Entrepreneurship Initiative presents the Spring 2012 Entrepreneurs Lecture Series. 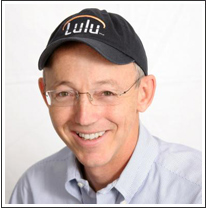 On Monday, April 30, 2012, Bob Young, founder and CEO of the online self-publisher Lulu and co-founder of Red Hat will give the keynote address, followed by the award ceremonies for The Lulu eGames. Prior to the lecture, The Lulu eGames will be showcased to the public beginning at 4 PM, featuring the contest participants and NC State’s entrepreneurial partners. In partnership with Lulu, the NC State Entrepreneurship Initiative hosts the annual eGames for teams of students of all disciplines to collaborate and develop solutions for real world challenges. Students working in teams or as individuals will compete for medals and cash prizes. The 2012 Lulu eGames consists of three categories: New Venture Challenge, Design and Prototype Challenge, and Arts Feasibility Study Challenge. This is a great opportunity to see future entrepreneurs in action and also hear Bob Young recant stories from his successful entrepreneurial path. Registration is now open for this event. You can do so at this website.